OBAGI NU-DERM TONER #2 is a gentle facial toner that paves the way for beautiful, youthful skin. This non-drying, alcohol-free formula penetrates deeply to balance pH level, clear the pores and prepare the skin to receive anti-aging treatments. Its key ingredient is witch hazel, a substance known for its astringent properties. Obagi Nu Derm Toner also contains aloe to calm and soothe irritation and caldendula extract to help heal sun damage. The refreshing liquid will never over-dry skin, and it is suitable for even sensitive skin types. Add Obagi Nu Derm Toner #2 to your routine today to experience fresh, youthful skin. 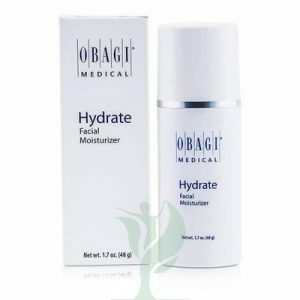 Obagi Nu-Derm Toner gently removes excess oil and impurities without stripping your skin of vital moisture. Sage and witch hazel offer astringent benefits to tone and purify while borage extract and aloe vera calm and sooth for a comfortable feel and healthy, revitalized look. How to use: After cleansing, apply toner onto face and throat with a cotton ball. Do not rinse off.